I was recently asked to speak at an event about future NHS leadership. I was keen to do this as I feel that being part of the future I have some thoughts and ideas around what may be needed. I was quite privileged to have been asked to do this and I am always thankful when I get the opportunity, not particularly because I enjoy public speaking (I don’t) but because as someone in the healthcare system who doesn’t currently hold a recognised badge of seniority and, therefore, the influence associated with it, and as a graduate management trainee about to leave the warmth and comfort of the scheme and enter the big wide world, it’s important to be able to have my voice heard. So what did I think the future leadership of the NHS should look like? Well its quite simple for me, it shouldn’t be positional, you don’t need to have worked in the NHS for many years, and you don’t need to be in senior position in an organisation. It’s also multi professional, it’s rich in diversity both gender and ethnicity. It’s not insular and, therefore, it weaves its way across boundaries and barriers, and through joints and cracks, like a vibrant ribbon which brings everything together. What I’m talking about is inclusion. So back to the story….there I was a Graduate Management Trainee speaking to approximately 20 senior managers from across the region about the benefits of staff engagement, personal empowerment, diversity and inclusion. Also about how, as someone who is incredibly passionate about equality, diversity and inclusion and also an avid NHS tweeter, I was lucky enough to connect with another passionate individual and through a first ‘tweet up’ at the NHS Expo we decided to develop a network for people who are passionate about having a voice that helps shape the future of healthcare, challenges the status quo and inspires the next generation. I finished my talk, which included an introduction to the new network; when asked if anyone had any questions, one person said to me: ‘I can’t relate to a single thing you have said’. Not only did they not think this was an issue in their organisation, but also within the system generally. Their strong view was that their trust was extremely inclusive and everyone within it would agree, also that there are not really diversity issues in the NHS as their CEO is a woman. Finally we just need more doers and less thinkers and innovators. As leaders we need to stop looking upwards and start looking outwards and across, listening to people who wouldn’t normally be heard. Difference is good, we need competing perspectives to challenge our normal practice and historic ways of working. A great quote I really like is from the King’s Fund Paper – No More Heroes which states: “The NHS needs people to think of themselves as leaders, not because they are personally exceptional, senior or inspirational to others, but because they can see what needs doing and can work with others to do it”. For me that is one of the simple aims of the NewHcVoices network, to bring people together, to see the wood despite the trees and encourage courage through an equal footing, learn and share how to influence, and to create synergy through shared values, beliefs and passion to make the NHS better for the public we serve. So upon reflection my questions to you are these: Are you really inclusive and diverse in your practice, do you live your values? What could you do more to hear those unheard voices, will you be the one to make a difference, or will it be someone else’s job? Does change start with you? NewHcVoices can be found on twitter at @HcVoices, both co-founders Kirstie Stott @kirsti79 and Vanessa Garrity @VanessaLGarrity will be hosting their first north region event in Leeds on the 21 May 2014 with other regions to follow. 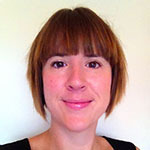 Kirstie Stott is an NHS Graduate Management Trainee (GMTS) 2012 Cohort. She originally trained as a registered nurse in 1998 and worked in a nursing capacity for 14 years. She started NHS life as an Accident and Emergency nurse in 2001 and went on to be the youngest national Emergency Care Practitioner for Yorkshire Ambulance Service working to a senior clinical level. She is a certified Neuro Linguistic Practitioner after successfully gaining a place on the INNOV8 Accelerate Programme. In 2011 she beat off 12,350 applicants to gain a place on the prestigious NHS GMTS. Her first placement was at Sheffield Teaching Hospital as an Assistant General Manager working on the integration of two directorates. She then spent 9 weeks working at The Faculty of Medical Leadership and Management developing business cases and strategy planning where she is now regional lead for the FMLM steering group in the north. Her final placement is at South West Yorkshire Partnership NHS FT as a strategic planner leading on the Integrated Business Plan. Her passions are in equality and diversity in the NHS and understanding and working towards removing the barriers that stop women and BME staff achieving senior leadership positions. She also is currently regional lead for NHS Change Day 2014 Yorkshire and Humber. She lives in Sheffield with her partner and 2 children. Outside of work she enjoys music, and being the best mum and having fun with her 2 boys. Good to read your article. New leadership will emerge through the social movement approach you describe. The transitional years will feel messy and fraught with hierarchal angst no doubt. I completely agree with you Kirstie. Sadly I think at very senior levels in some organisations there is a ‘comfort seeking’ rather than ‘problem solving’ culture to inclusion. More need to be done to engage all staff. Personally I believe strongly that the best solutions to many of the problems within the NHS can be found at the frontline. We need to do more to empower frontline staff. Interesting article ,.especially the comment about (Passionate about having a voice that helps shape the future )I hope this includes the patient voice,I spent over 10 years trying to be heard, I did this by attending most of the Y&HSHA and local PCG/PCT and Acute Trust board meetings,only yesterday there was an article in the Yorkshire Post from Anne Lesley Alexander the CEO of the RNIB highlighting the plight of people losing their sight and the lack of provision after being told,most of these issues I raised which were documented but ignored some even went to the Health Select Committee and appeared in their final summing up.We always appear to the volunteer to reinvent the wheel everytime there is a change in management and leave all previous raised issues behind.